What’s all the hype about the Blue Nose Pitbull? 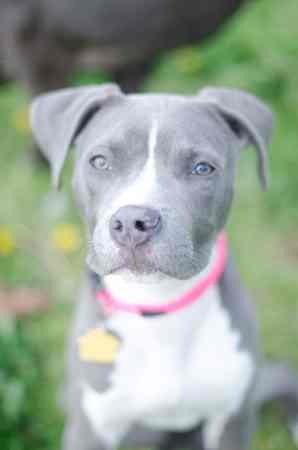 Breeders have taken note of the “blue lust” in the general public, and are breeding more Blue Nose Pitbulls than ever. But despite what many consider to be a widespread breeding scam, this breed is still relatively rare. In fact, the American Kennel Club has yet to recognize it. Nevertheless, pitbull non-enthusiasts balk at the idea of more pitbulls roaming the world. #1 Why the Blue Nose? 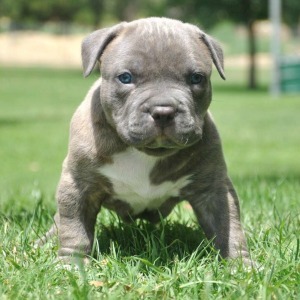 So What’s the Verdict on Blue Nose Pitbulls? Good question! 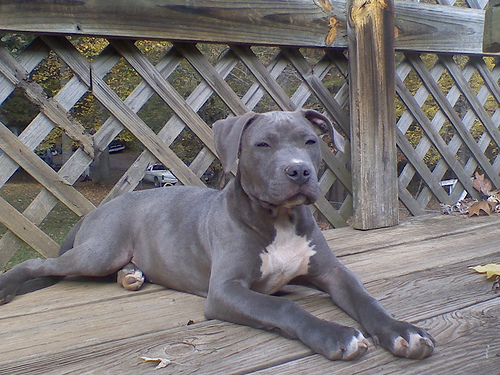 The defining characteristic of a Blue Nose Pitbull is a rare blue-gray hue to the skin, eyes, nose, and toenails. There are even Red Nose Pitbulls, whose skin, eyes, nose, and toenails have an amber tone. And no, these blue and red dogs don’t look like little stalky aliens or demons! The striking blue or red coloring occurs when two parents with recessive coat-color genes breed, which doesn’t often occur naturally. 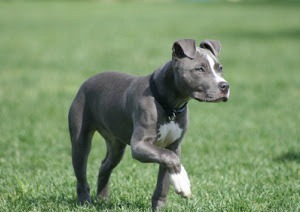 After all, pitbulls with these recessive genes are rare, and it is even rarer for two to cross the same doggie path! These recessive genes trigger decreased melanin production. Melanin is the important little bugger in the skin that determines skin color. In humans, it is responsible for tanning in the sun! 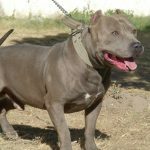 Because so many people prefer unique pitbull coloring, some breeders force recessive-gene pitbulls to breed together. If this sounds a little sketchy, it should. But more on this in #3. 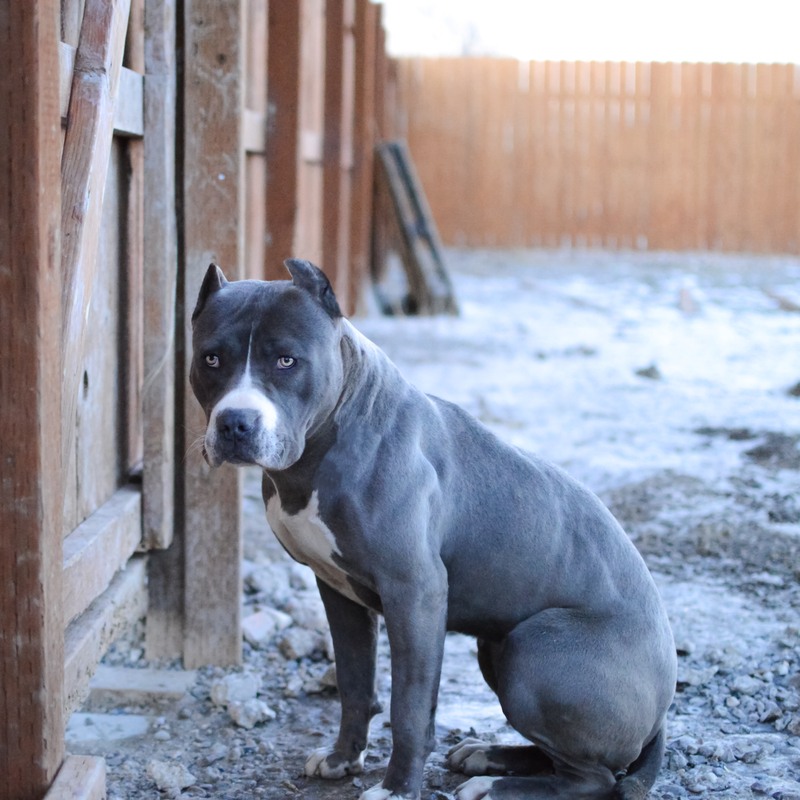 For now, you should know that Blue Nose Pitbulls are not a separate breed. 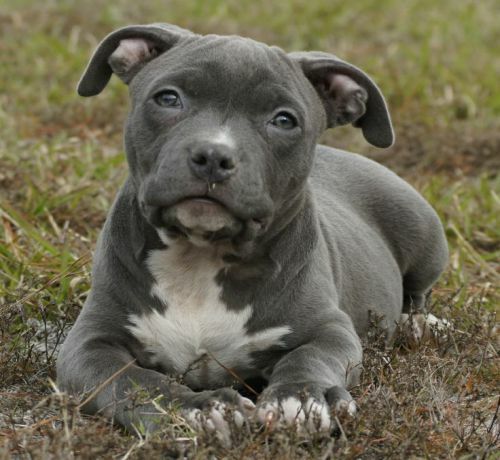 They are under the umbrella of American Pitbull Terriers, which are not recognized by the American Kennel Club. In fact, Chauncy Bennet created the United Kennel Club (the second oldest dog registry organization in the U.S.) to register the excluded American Pitbull Terriers, who must have felt unofficial and sad. Remember how I said that Blue Nose Pitbulls are rare because the recessive gene is uncommon? 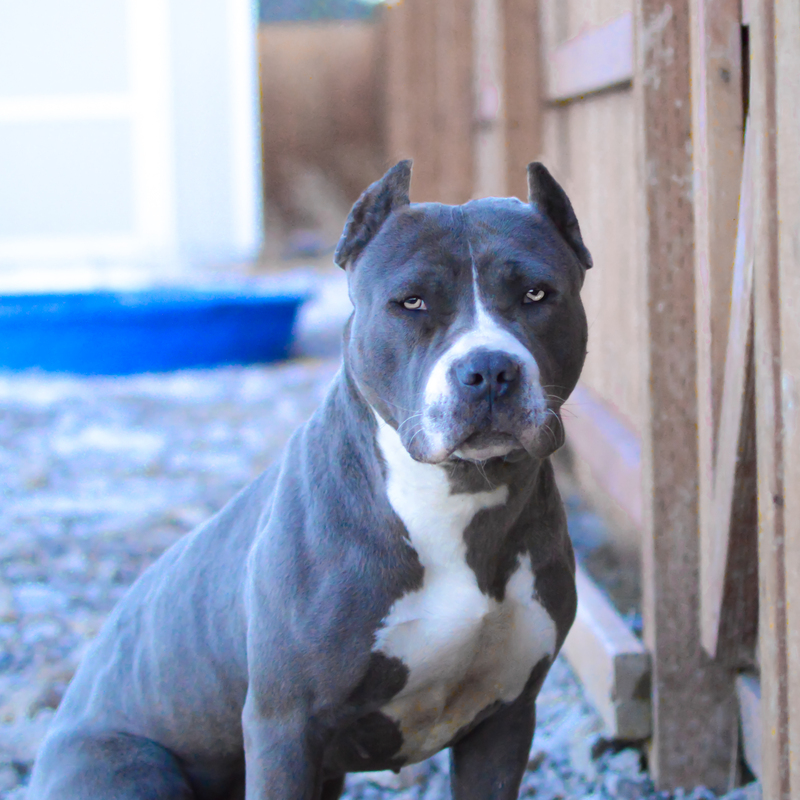 Well, this creates a dilemma for “backyard breeders” who want to cash in on blue lust. 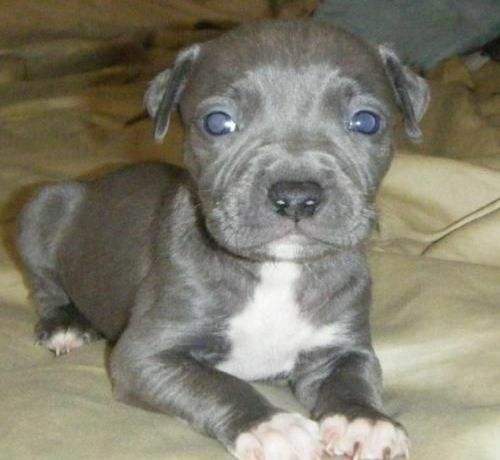 How can they sell more and more Blue Nose Pitbulls if there is such a limited gene pool to begin with? 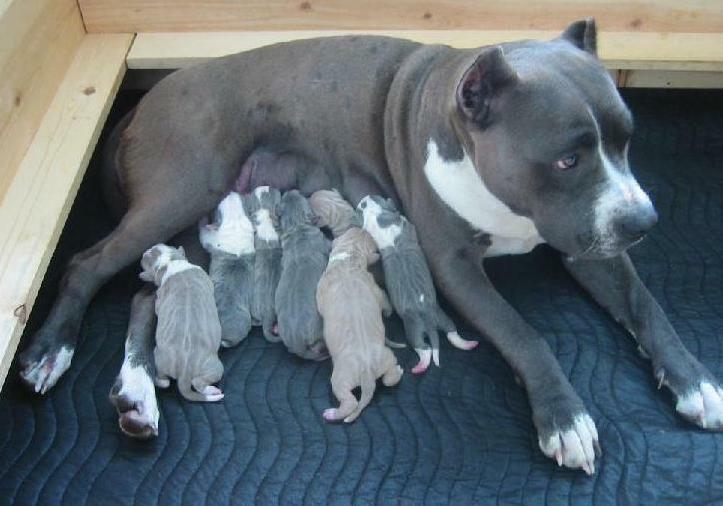 The unfortunate answer is that illegitimate breeders inhumanely inbreed their Blue Nose Pitbulls. Sure, inbreeding generates money for the breeders in the short-term because initially it is hard to tell if a dog is inbred–especially if the dog is young. But inbreeding can create major long-term problems for the eventual owner because it leads to health problems such as immune disorders, cancer, grass allergy, heart disease, and cataracts. 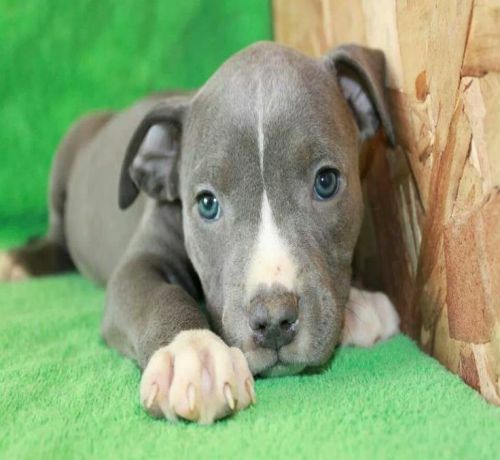 Not only that, but because of their low melanin levels, Blue Nose Pitbulls are susceptible to immune and nervous system dysfunction, such as deafness, poor vision, skin spots, alopecia, and bad temperament. In fact, because many breeders have a sole, driving focus of producing dogs with a blue coat and nose, they lose sight of the more important trait: a good temperament! Because of this, too many Blue Nose Pitbulls are born with aggressive or stubborn tendencies. 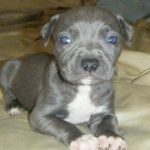 If you want a Blue Nose Pitbull as part of your family, be sure to get one from a reputable breeder! 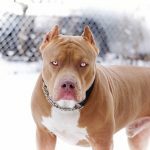 When it comes to uniquely colored pitbulls, scams are all over the place. Breeders advertise that Blue Nose Pitbulls are some special superdog with magical powers that it has used to find the elusive fountain of youth. If this sounds a little far-fetched, that’s because it is. 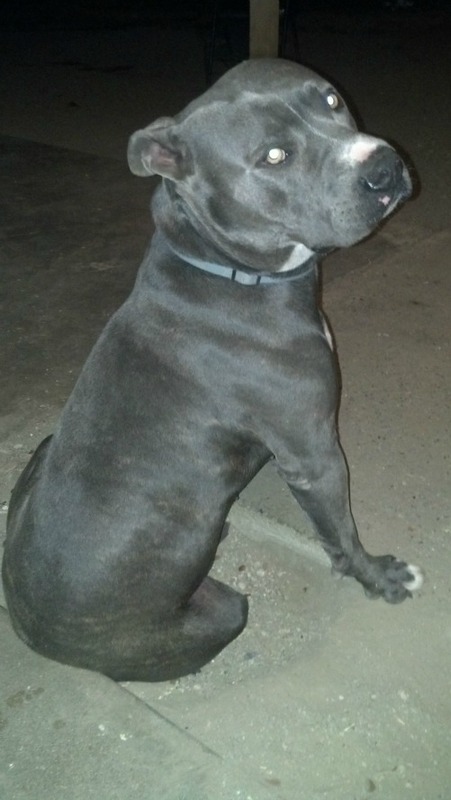 Sure, an individual Blue Nose Pitbull might be extra-special to its owner, but in general, a Blue Nose Pitbull is simply a pitbull. 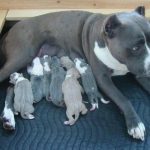 Breeders jack up the price of Blue Nose Pitbulls, believing that blue lust will drive people to pay the unjustifiable price. 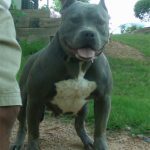 Some Blue Nose Pitbulls cost$3,000 or more! Don’t pay such a high price. 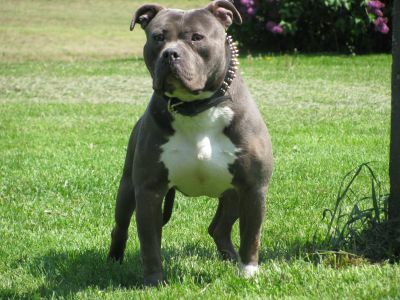 Approach a reputable breeder armed with the knowledge that the Blue Nose Pitbull is not some superdog–and pay accordingly. Before choosing a breeder, be sure that the breeder is interested in the overall well-being of dogs. It is a sad fact that the pitbull fighting trade is still alive and well worldwide. Do not support a breeder who takes advantage of the competitive spirit of dogs and forces them to fight one another. These fights are disheartening bloodbaths. 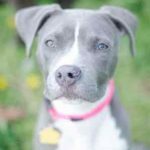 If you are confused by all of the different types and terms associated with pitbulls, you aren’t the only one. A quick Google search reveals that even so-called experts don’t quite know what to make of pitbull lineage. But let’s try our best to dig into this. All three types are working dogs with similar characteristics because they come from the same original ancestors. 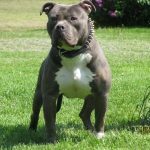 They belong to the terrier group and were originally bred for baiting bulls (unlike the American Bulldog, which is a member of the Mastiff group and was originally bred for hunting and guarding). Another reason that the American Kennel Club stays away from the APBT is that the term “pitbull” sparks controversy. In fact, each year there are many calls for legislatures to ban pitbulls and other “aggressive” breeds. 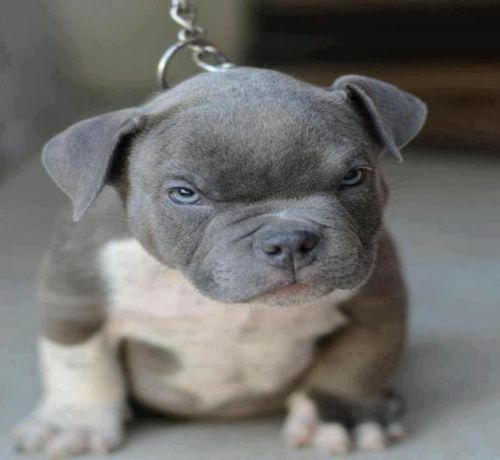 The truth is that there is no such thing as an aggressive breed; just an aggressive dog. That being said, pitbulls do have storied, blood-soaked history. In the ancient Roman Empire, passionate spectators sat glued to their seats as they watched the ancestors of modern pitbulls maul each other to death. 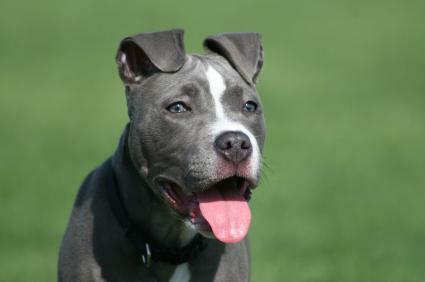 This tradition continued into the 1800s in Britain, where modern pitbulls originated. 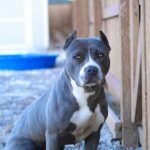 So why is it so difficult to distinguish between the APBT, AST, and SBT? 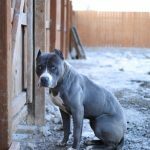 When breeders bred pitbulls for fighting, they did so in extreme isolation and secrecy, so that they wouldn’t reveal breeding secrets to their competitors. 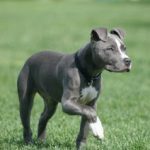 Sure, people originally took advantage of a pitbull’s gameness–or desire to compete–and turned it against other pitbulls. 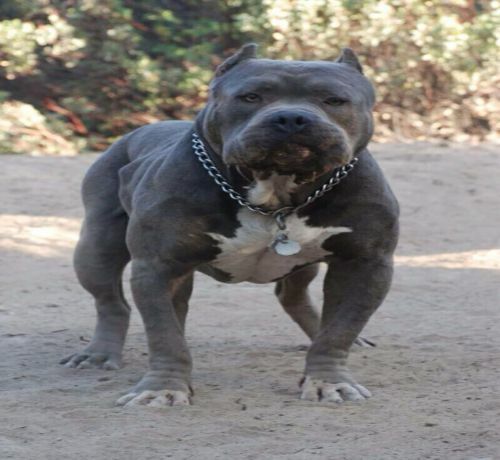 But this is not the defining feature of most modern pitbulls. Believe it or not, pitbulls are naturally gentle-hearted and kind-spirited. 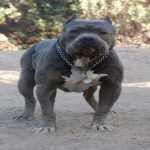 Their muscle-bulging build and wide-set jaw might intimate you at first, but after a few interactions with a pitbull sweetheart, you will be convinced. Prior to the 1980s, the pitbull was actually a symbol of national strength and unity in the U.S. But some breeders ruined this when they decided that bigger is always better. The weight of an average pitbull is between 30 and 50 pounds, making it a medium-sized dog. 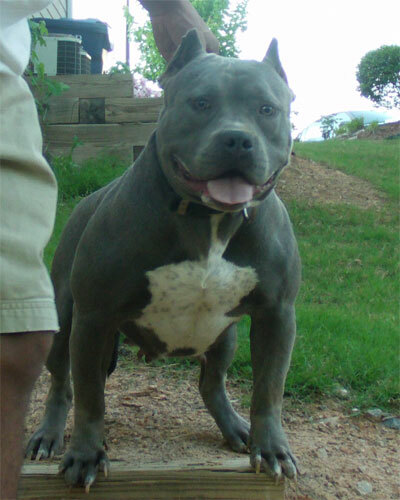 But some breeders attempted to breed pitbulls to be upwards of 70 pounds! Because they were so focused on size, they neglected to consider temperament. The result of this breeding travesty? The general public’s conception of the pitbull changed from a strong and courageous companion to a massive, blood-thirsty predator. 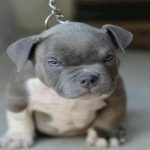 So what is the truth about a Blue Nose Pitbull’s temperament? In general, as with all dogs, puppies are easier to train than adults. If you are concerned about temperament, stick to a puppy. 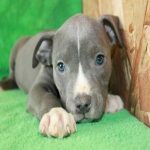 As long as you lovingly discipline, train, and socialize your Blue Nose Pitbull puppy, he will grow to be an agreeable, non-threatening companion for years to come. In fact, temperament tests reveal that pitbulls often score near Golden Retrievers–a family favorite! Pitbulls are some of the most consistent, predictable dogs on the planet. An aggressive, vicious pitbull is more often a reflection of the owner’s lack of attention than the pitbull’s natural temperament. 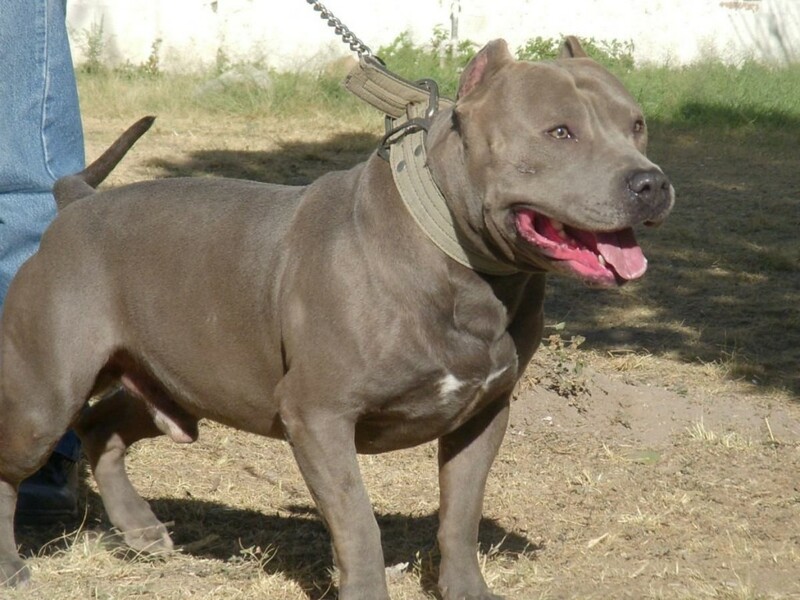 Check out this video of a well-trained Blue Nose Pitbull! 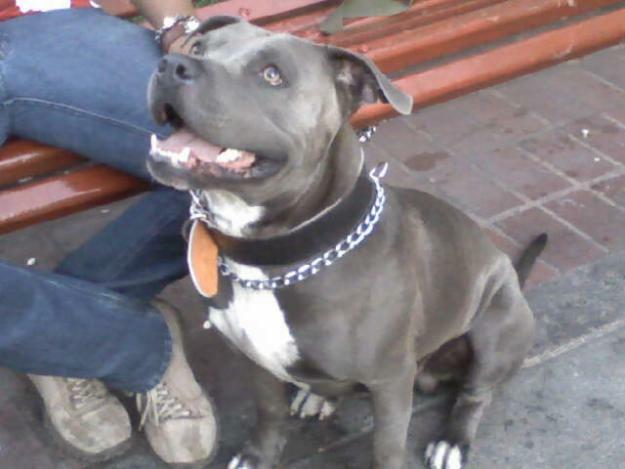 Although Blue Nose Pitbulls are gentle, they are strong, and they love to jump. And I’m not just talking about little bunny hops here and there. Pitbulls jump HIGH and OFTEN. They are so athletic that they can unintentionally cause quite a lot of damage. To avoid household damage and frustration, be sure to exercise them as much as possible. Many pitbulls should not go to the dog park, as they are not a fan of other furry friends. But they would love to go to the park on a leash. Without regular activity, this athletic working dog is bound to become frustrated, aggressive, lethargic, and overweight. If your Blue Nose Pitbull is not getting enough exercise, he will let you know. Pitbull ownership is not for the weekend warrior; they need daily intense, aerobic exercise. Because pitbulls love to play, they sweat A LOT! Frequent bathtimes are a must, especially if your Pitbull lives indoors. And unless you live in a temperate climate, they should live indoors. They do not have a thick, protective coat, so they become cold easily. In general, pitbulls have a tough time regulating body temperature. 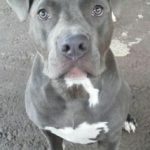 So do your Blue Nose Pitbull a favor and keep him in the air conditioning–except when it’s time to go outside and play–and then give him a bath! While each pitbull is different, this breed tends to prefer interactions with humans over other dogs. They can be trained from an early age to properly socialize with other dogs but still may gravitate toward humans–which is okay in my book! Older pitbulls that have already developed an aversion toward other dogs may never learn how to calmly interact with other canines. In this case, when your Blue Nose Pitbull has to be around other dogs, use the crate and rotate method. That is, never let the dogs be together unsupervised; always keep one in the crate while the other roams free, and then switch it up. The good news is that no matter how pitbulls react to other dogs, they tend to love humans! That’s right–they can distinguish between species. 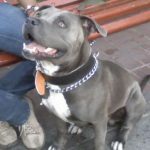 Never forget that your Blue Nose Pitbull is full of brawn and brains! 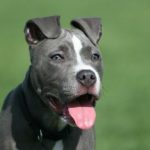 You may be surprised to learn that Blue Nosed Pitbulls are gentle with children and are also one of the most emotionally expressive dog breeds. They are more likely to play with an intruder than bark or growl at him, making them bad watchdogs but lovely friends. 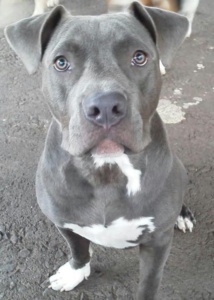 Be sure to take care of your Blue Nose Pitbulls emotional needs by spending enough quality time with him, showering him with love and attention, which he will excitedly lap up! Pitbulls, in general, are mired in controversy that seems to follow them no matter how well-behaved they are. First, there is the controversy of breeding. 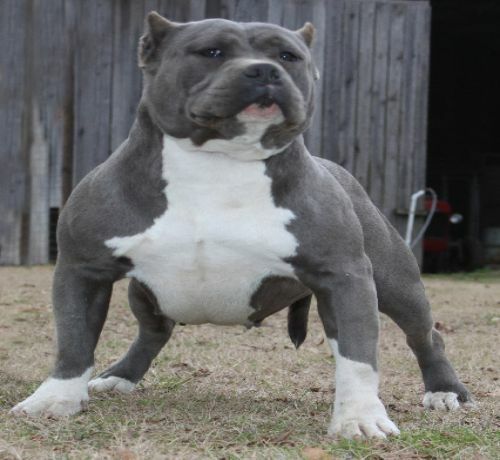 Greedy “backyard breeders” inbreed within the tiny recessive gene pool to ensure that pitbulls have unique coloring and meet the “blue lust” demand. This leads to health and behavioral problems, but even so, they jack up the prices on these dogs, falsely advertising that they are an extra-special breed. 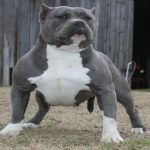 Most alarming, some of these breeders still participate in the blood-soaked pitbull fighting games that were common throughout history but have been banned for many years. If you decide that a Blue Nose Pitbull is right for you, make sure that you choose a high-quality breeder. While Blue Nose Pitbulls can be the most emotional, gentle, and kind dogs on the market today, human error has created an air of misconception and controversy around these lovable creatures. 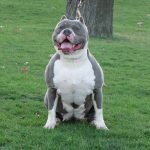 You can thoroughly research breeders and take your chances with a Blue Nose Pitbull, or you can choose an American Staffordshire Terrier, which is the “show dog” pitbull that has less variability in temperament and health. 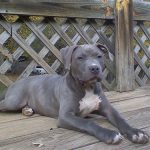 Whether you have a Blue Nose Pitbull or just want to participate in the on-going heated debate about pitbulls, I’d love to hear from you. Is the pitbull is a misunderstood affectionate creature or a blood-thirsty predator? You decide! 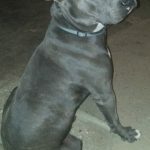 Is every pit bull with a dark black/blue nose a Blue Nose? Must they have a solid blue/Grey coat, or can they be piebald? Everyone asks if my dogs a blue nose, but since they were back yard rescues I do not know and am very curious.